Is the concept previewing a new design language for Kia? Kia has a few surprises in store for us that it will unveil in full at the 89th Geneva Auto Show and the hottest of them all is this muscular concept that will "get your pulse racing," according to the Korean manufacturer. If it’s a two-door coupe done following the recipe of the Stinger GT, then we’re surely looking forward to it. Kia let go of two separate teasers almost at the same time in the past couple of days: first, there was a sketch of the upcoming xCeed that’s already been spied testing on wintery roads. The crossover that’s supposed to split the Stonic and the Sportage in terms of size will share its engines with the standard Ceed and PHEV version is to be expected as well. 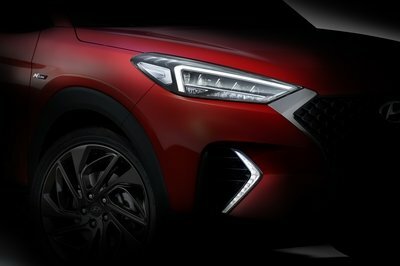 The second teaser, though, is what got us wondering because it doesn’t really resemble anything in Kia’s current portfolio. Is the automaker hinting at a potential shift in its design language or did it just let its European design team based in Frankfurt to have a little fun in the eve of the major Swiss auto show? Does Kia’s View of the Future Correspond With What You Want From Self-Driving Cars? Kia’s long done being that boring automaker that built dodgy cars you only ever ended up in if you cheaped out on airport rentals. 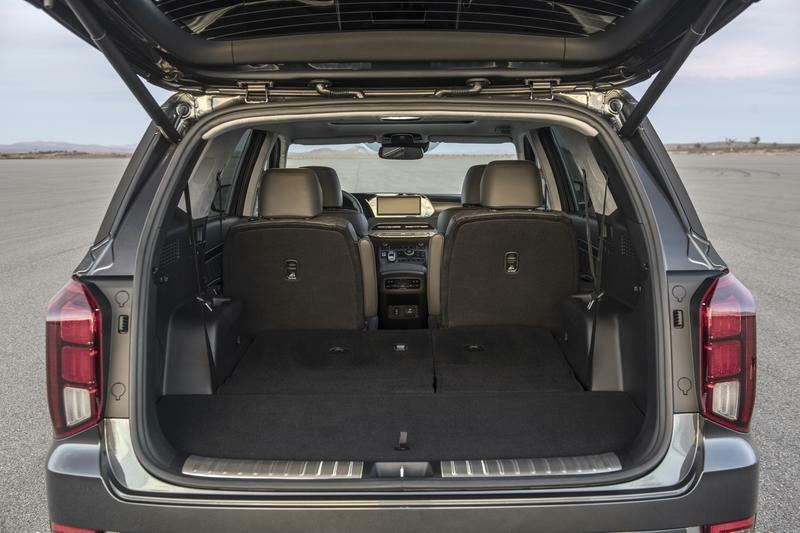 Nowadays, the Korean automaker is trying to not only win over customers with a bunch of well-made, economical, and cheap city cars, crossovers, and SUVs but also prove to the world that they can build truly exciting machines that can punch above their weight in terms of both performance and luxury. The unnamed EV concept seems to be another step in the same direction as a "visual embodiment of the company’s desire to move forward in the exciting world of electrification," according to a brief statement released by Kia. So far, Kia’s dipped its toes in the water of EVs with two less-than-menacing models: the e-Niro and the Soul EV. Looking at the only image Kia was kind enough to let slip through the cracks; this concept is most definitely a different kettle of fish altogether. We’re peeking at the first Korean muscle car if I’m honest. It has all the core ingredients: bulging arches, boxy proportions, a wide hood, and what look like really chunky tires. Granted, it won’t pack a fire-spitting V-8, but it will probably accelerate quicker than any of those old school rumble-makers. 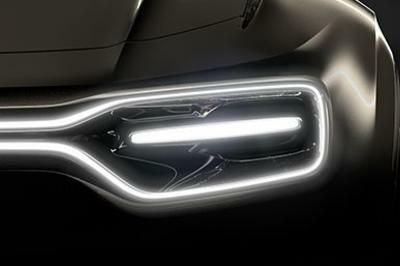 What we’re seeing is one continuous light bar that stretches across the car’s front fascia. It has curved corners, and it narrows down in the middle where there’s Kia’s signature ‘tiger-nose’ grille. The light bar forms two hallow rectangles on either side, and within these lit rectangles, there’s another, horizontal, thin light bar. Down below, there are extra light units in the lower bumper made up of two strings of light that spiral up and down on either side of a reversed U-shaped opening in the nose cone. You can also spot two other apparent openings placed outboard on the curved bumper. The hood features a U-shaped crease that marks the lifted middle area of the hood. In the middle, a refreshed-looking Kia logo stands proud. A couple of vertical lithe vents positioned next to the hood on both sides, on the edges of the two character lines that draw down from the A-pillars. These lines act to further enhance the aggressive look of the fender flares. The concept doesn’t have conventional exterior rear-view mirrors, Kia opting for minimalistic cameras in their place. 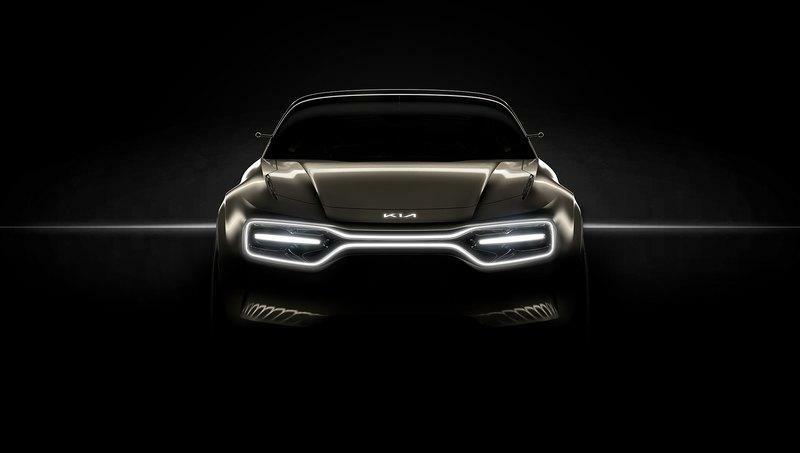 We know those things aren’t yet ready for series production, but we do hope this concept is a preview of a future sporty coupe from Kia and not yet another compact crossover or small SUV. 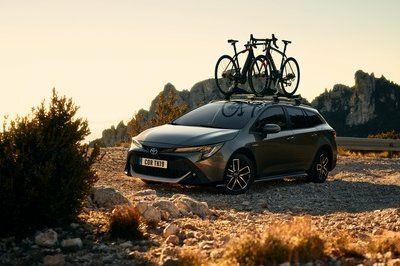 Gregory Guillame, Kia Motors Europe’s Vice-President of Design, told Autocar that his design team drew this car to “answer consumer concerns around range, performance, recharging networks and driving dynamism," and, moreover, conceived a car "that gave you goosebumps when you looked at it." Note: Kia Stinger interior pictured here. Kia is tight-lipped about the new concept’s cabin, but expect cheeky colors and interesting materials inside, as is the case with almost any concept car these days. The bucket seats are almost a given since this is a sports model as is a clean dash adorned by one, maybe two, sizeable screens. The steering wheel could be a compact one, shaped like those we see in racing, and littered with buttons and knobs, but no flappy paddles as this is an EV. If there’s a back seat - we don’t know, yet -, it should be quite tight if a coupe-like roofline is adopted. Note: Kia e-Niro pictured here. If Kia aims to excite with this EV, it will have to step its game up from the dull e-Niro and Soul EV. The e-Niro, for instance, is powered by a 150 kW electric motor that generates 201 horsepower and 291 pound-feet of torque. 0 to 62 mph takes 7.8 seconds and, thanks to a 64 kWh battery pack, the car can go 382 miles on a charge as per the WLTP urban test cycle. The battery pack can be recharged all the way up to 80% in 54 minutes, using a 100 kW fast charger. These specs are for the most powerful e-Niro. The top-of-the-line Soul EV also features a 64 kWh battery pack (up from 30 kWh on the old model), and that translates to an autonomy figure of 240 miles, more than double that of the old model - 111 miles. The Hyundai Kona EV can go slightly more on one charge, 258 miles, but the Soul EV is still offering plenty if you’re an urban user. The Soul EV has the same electric motor as the e-Niro, so the performance stats are virtually identical. 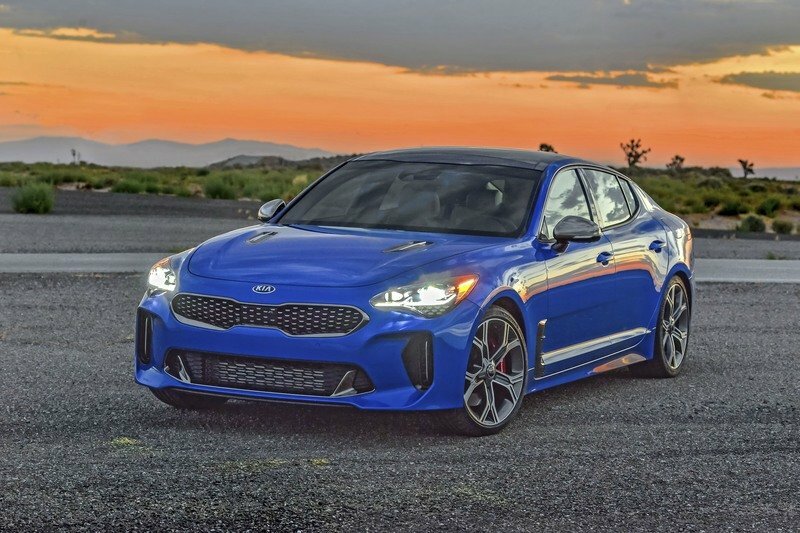 Nothing is wrong with either of those silent city commuters, but Kia must churn out at least as much ponies as the Stinger GT possesses if it wants to be taken seriously when it talks about this new concept as a ’performance-oriented’ vehicle. The Stinger, a compact five-door fastback model, comes with a choice of two engines. 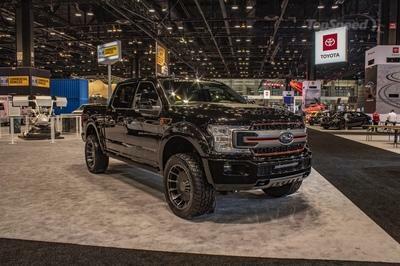 First off, there’s a 2.0-liter, turbocharged, Inline-four engine that produces 255 horsepower and 260 pound-feet of torque. The creme de la creme, though, is the 3.3-liter, twin-turbocharged, V-6 engine that generates 365 horsepower at 6,000 rpm and 376 pound-feet at 4,500 rpm for the AWD variant. 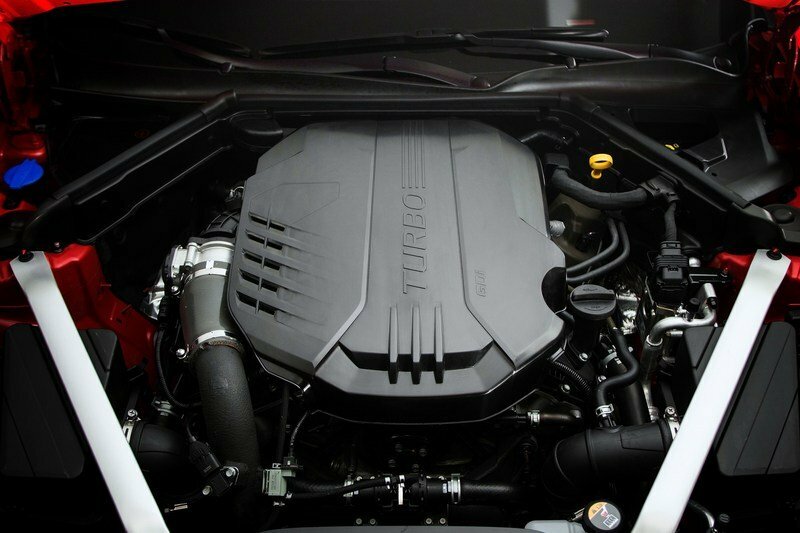 Note: Kia Stinger engine pictured here. Car & Driver put the 3.3-liter, V-6 version through its paces and recorded a 0 to 60 mph time of just 4.6 seconds with the car shod with Michelin Pilot Sport 4 tires. With enough road ahead, the Stinger will keep going until it hits a top speed of 167 mph. Meanwhile, the 2.0-liter, four-pot-engined Stinger is no slouch, reaching 60 mph from naught in 6.6 seconds as timed by Motor Trend. The magazine also recorded a quarter-mile run in 15 seconds for the same car equipped with Bridgestone Potenza tires. Depending on engine and amount of wheels driven, the Stinger weighs between 3,611 and 3,792 pounds. Road & Track also tested the Stinger and said that "the thing about the Stinger is that it doesn’t really have one standout attribute. The steering is good, but not great. Same with the [Brembo] brakes and how it handles. The engine is nothing to write home about." In spite of this, the magazine sums up by saying, "those ingredients work in harmony to create one of the most fun cars in its class. It’s good enough that it doesn’t need to be looked at as a value proposition, which is good because the Stinger GT can cost more than $50,000." It’s hard to pinpoint exactly what Kia will unveil at the 2019 Geneva Auto Show. Will it be an all-out two-door muscle car? 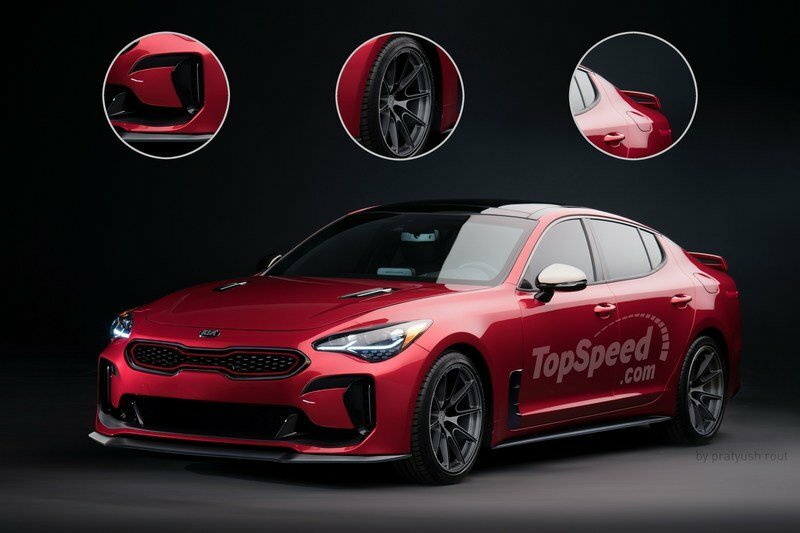 Will it be an aggressive sedan in the vein of the Stinger? 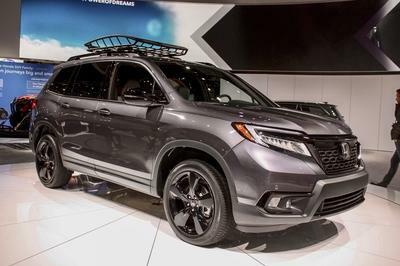 Will it be a sporty crossover? We don’t know, and that’s what makes waiting for the reveal that much harder. What’s clear is that, from what we’ve already seen, it’s interesting enough to have us thinking about it and making up possible drivetrain options for it and everything in between. 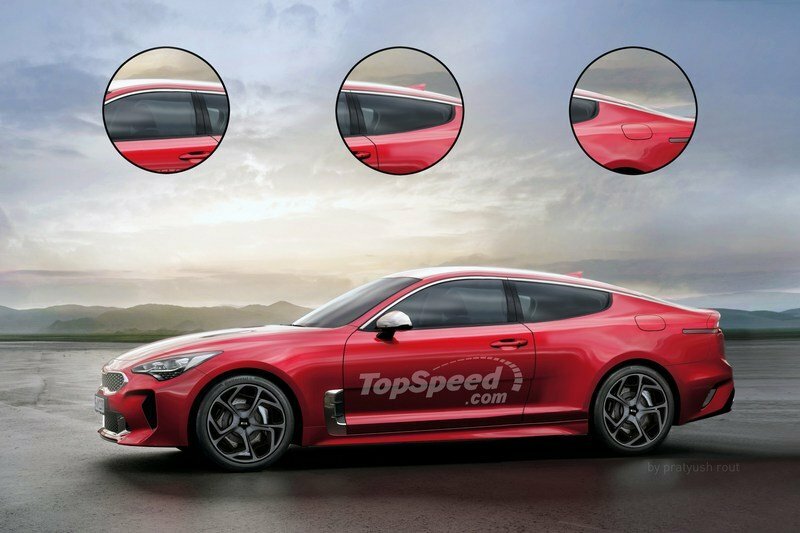 Basically, we’d love for Kia to put out a sports car, one that can kick the back end of the Genesis hard and then go on and aim higher, namely aim at those unflinching Europeans.